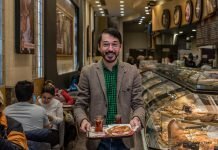 Any coffee lover who has traveled in Portugal knows that nothing makes Pastel de nata go down better than a good cup of coffee–uma bica in Lisbon or um cimbalino in Porto. But do you know why this is? 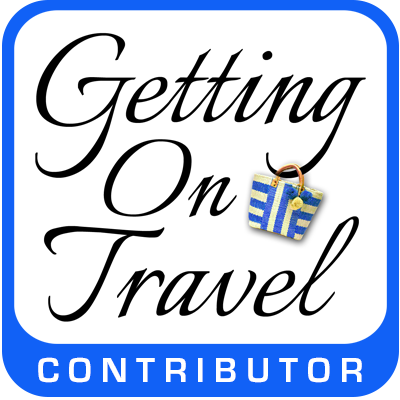 Having enjoyed coffee around the country for several months, I set about finding out. Teresa Ruivo of the Portugal’s Industrial and Commercial Coffee Association (AICC) readily answered my questions, gave me a primer on Portuguese coffee history, and introduced me to one of the top Portuguese coffee producers, Carlos Pina of Cafés Negrita. He and his daughter Helena toured Tom and me through their production facility, and Carlos Pina showed us how to use a balão de café. But long-standing traditions such as these are just part of the Portuguese coffee story. The country’s coffee-drinking habit was imported from Brazil, as was artisanal coffee-making, now a global phenomenon. 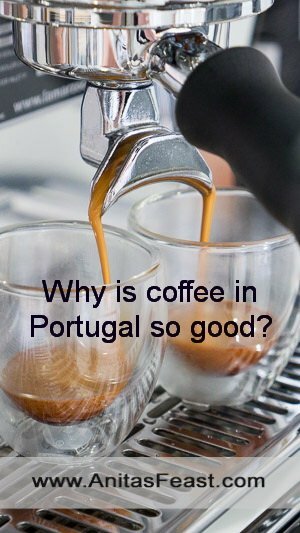 According to Teresa, high-quality machinery from Italy (Cimbali was the first Italian machine in Portugal) has been adapted to Portuguese temperature and water-pressure norms and is still used almost exclusively. During decades of relative economic isolation under the Salazar regime, Portugal sourced virtually all of its coffee from its colonies. The beans were Robusta, which ingrained in most people an enjoyment of strong, bitter coffee. According to many people, Bica, the term used in Lisbon for a cup of coffee reflects this: B (Beba) I (isto) C (com) A (açucar), or “Drink this with sugar”! There are a number of explanations for the term, but I like this one best. The traditional Portuguese coffee brands–Sical, Buondi (under the Delta/Nestle umbrella), Nicola, Tofe and Cristina–all practice a slow roasting of coffee beans that differs from the Italian method. Slow roasting at low temperatures, a blending of Arabica and Robusta beans and brewing with higher water pressure conspire to produce a distinctly Portuguese cup of coffee. Portuguese espresso is also served in larger cups (30 ml vs 20 ml for Italian espresso). 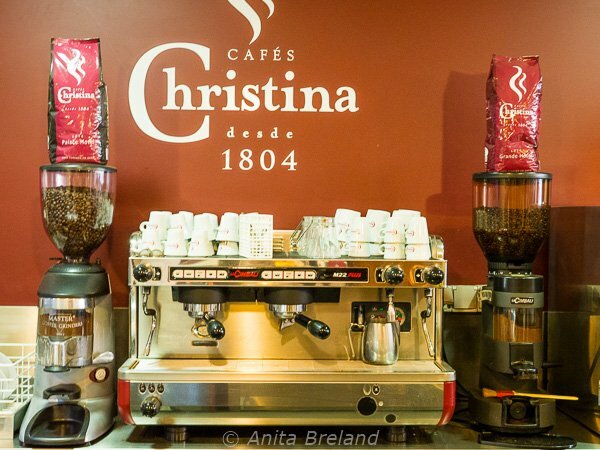 Cimbali machines still brew a great cup of coffee at the historic Café Christina in Porto. Portuguese coffee culture brings people together. “Let’s go for a coffee” is a Portuguese tradition, similar to Sweden’s “Let’s fika!” Mid-morning and after lunch are the traditional times for taking a coffee break. Until just a few years ago, 80% of coffee drinkers enjoyed the brew in cafes and bars, but now, home consumption of fine coffee is increasing. In the north of the country, with its long winter, an even greater proportion of the populace–up to 90%– has coffee at home or in the office. The Portuguese like to linger at the table after a meal, drink coffee and talk. A relatively recent development, however, is the extension of coffee-sharing to the evening, late evenings by my standards. Teresa says that friends often invite others over for a coffee after dinner, as late as 10:30-11:00 pm, as a way to get together without going out for the evening, or making a dinner production of it. 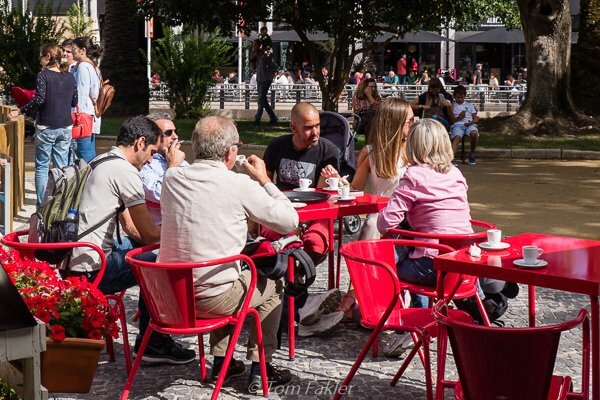 At outdoor kiosks all over Lisbon, friends get together for a cup of coffee and conversation. For an in-depth look at the serious business of ordering coffee in Portugal, check out this post from emma’s house in portugal. 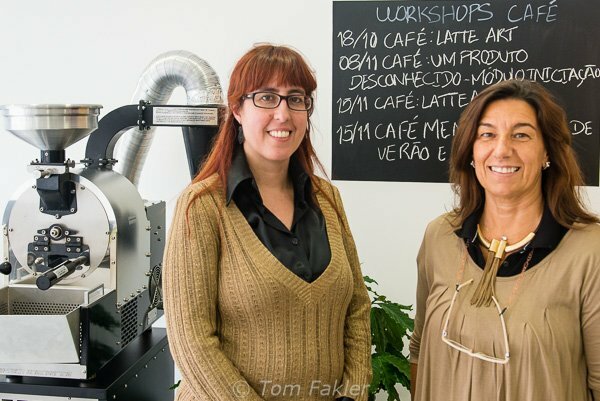 Sandra Azevedo of Academia do Café® and Teresa Ruivo of AICC are promoting new ways of producing and enjoying high-quality coffee. Academia do Café® is a training and consulting company in Lisbon, specialized in bespoke training courses, workshops, lectures and events about coffee. Academia sells coffee beans, offering only Arabica beans, and working only with specialty, single-origin coffees. Beans are roasted in-house and coffee is brewed in a top-line La Marzocco machine at a minimum water acidity of 6.8 pH. 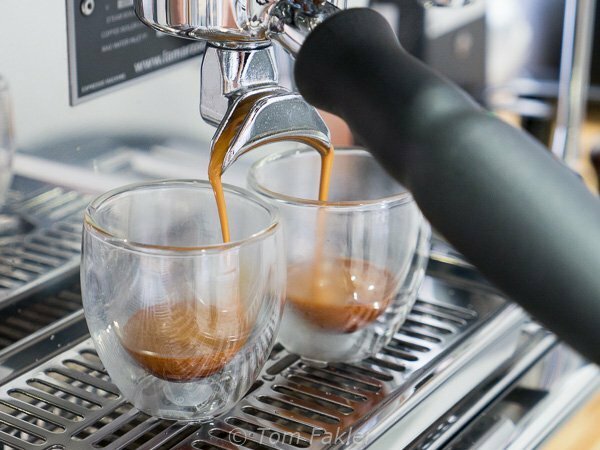 Under the auspices of the Speciality Coffee Association of Europe, Academia offers various courses for professionals (roasters, baristas, coffee shops and restaurants), and trains aspiring baristas from Portugal and around the world. Established as a coffee import cooperative after the 1974 revolution, and re-branded as AICC in 2007, Portugal’s association of employers in the coffee industry disseminates information about coffee, and supports companies involved in all aspects of coffee production and marketing. Its activities in include a range of events, awareness campaigns and promotion of the health benefits of coffee. 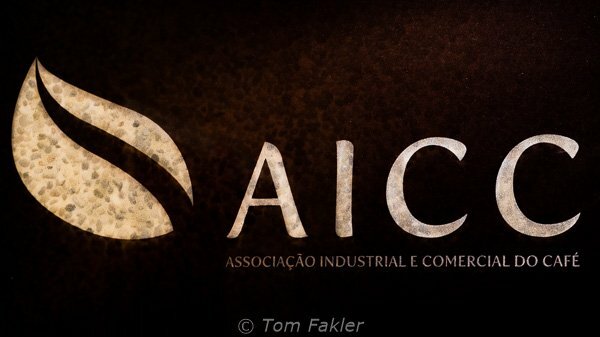 AICC’s aims to refine Portuguese taste in coffee, emphasizing the health benefits of a quality brew. As I write this, I’m looking forward to my next trip to Portugal, next week’s World Food Tourism Summit. A pre-conference return to Alentejo will give me a chance to enjoy both the specialty confections and biscuits of that region, and plenty of great Portuguese coffee! 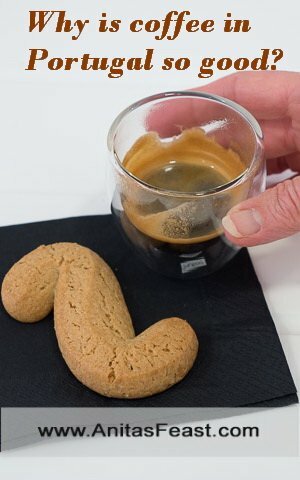 Pairing tradition and modernity: popias, Alentejo biscuits, accompanied by perfectly brewed coffee. Casa Pereira in Lisbon’s Rua Garrett is a shop that seems stopped in time (it was founded in 1930). Shop for coffee and coffee-making equipment, and make your own blend. The shop also sells a variety of biscuits and chocolates. Café Portela, with eight locations in the Lisbon area, has been serving up coffee, cakes and a limited menu since the late 1970s. Its Caps Portela coffee blend is available as beans or in capsule form at its various outlets and online shop. Filipa of Taste of Lisboa and André of Taste Porto Food Tours can be your guides to coffee traditions of Lisbon and Porto. 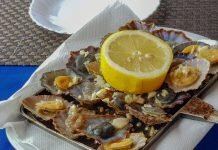 Read about our food walks in Lisbon with Filipa and in Porto with André, then book a walk for yourself! Thank you to Aptece, the Portuguese Culinary Tourism and Economic Association, and Turismo de Portugal, for making our travels in Portugal possible. Thanks too to AICC (Portugal’s commercial coffee association) for introducing us to Sandra Azevedo! There is noting better than really great coffee – and nothing worse than really bad coffee. “Life’s too short to drink bad coffee”! But I’m constantly amazed at the people I meet who only ever drink instant coffee, when with slightly more effort they could have such a more amazing experience. I haven’t been to Portugal since the mid-80s, but it’s definitely on my list to visit again, and especially so since reading your article on their coffee. Thanks for your comment, Yasha, we are together in the only-coffee-is-good-coffee club! If you want a 20ml cofee, you ask for “uma italiana”. You will get a bica that has lesser amout, but much stronger than a regular one. It is not true that Bica stands for Beba Isto Com Açúcar, though it is an old and popular myth. It simply means “tap”. Bica is a common dictionary word for tap, or fountain. People used to ask for coffee straight from the tap, as opposed to “drip coffee”, where you brew a whole pot and leave it sitting around which can mean losing flavor and cooling down. A lot of words in many languages are said to stand for something. These are called backronyms. It was popular at some point in the turn of the century, to make up these things, if I recall correctly. See, for instance, the origin of “OK”. Thanks for your comment, Jorge. We confirmed your assertion that “drink this with sugar” is just part of the story of bica. As you suggested, the “The Real Origin of ‘OK’” is complicated, historical and fascinating. And, as the author concludes, “by forgetting where OK came from, we made it belong to us all!” Perhaps this holds for bica , as well? The “bica” in Portuguese is a water fountain or water spring and the espresso was dubbed bica because coming out of the espresso machine it resembles liquid coming out “bica”, and so it would be used that make to differentiate from dripping coffee. There’s no ” complicated” history or origin here. The acronym for “bica” is just an anecdote, something to tell in a conversation and when someone says “really?” the ‘gotcha’ moment comes and the real explanation for the name is given. On that note, it’s the same reason why in Porto it’s called “cimbalino”, while in Lisbon they used the resemblance of liquid flowing from a fountain (bica) in Porto they used the name of the machine who made that kind of coffee (Cimbali) to differentiate from dripping coffee when ordering. There’s really no mystery or complication on the origin of “bica” just a pragmatic approach and an anecdotal story to tell. I’m sorry to say, but you’re both wrong. BICA stands for “Bebida Instantânea de Café Açucarada” that in English means Instant Beverage of Coffee with Sugar. And why? When they started to sell the first expresso (means fast, instant) machines in Lisbon in the late 19th century, beginning of the 20th century this was the slogan used to sell them. I believe that someone picked the first letters (BICA) and start using it because it was shorter and easiest to say. In Porto, the cimbalino comes from the use of the Cimbali machines, although, these days is kind of difficult to hear that expression. That’s usually heard on the old cafes downtown. Young people don’t ask for a Cimbalino in Porto. They usually use the word Coffee. I also noticed that in your article you left out the best Coffee brand out, Delta. Why? Thanks for your comment, Andre. As several readers have pointed out, there are several explanations behind the term BICA/bica. Point taken! As for brands, there was certainly no intention to slight any of them. I’ve been told that several long-time favorites are now marketed under the Delta or Nestle umbrellas, and mentioned this in the post. However, my aim was more to find out something about the beans used, brewing techniques and Portuguese coffee culture. In future, I hope to learn more from/about Delta Cafes and the Coffee Museum in Portalegre. 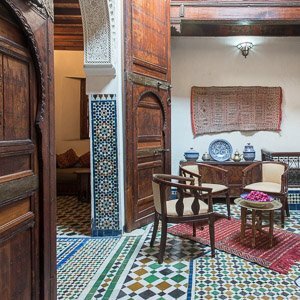 Do you recommend a visit there? Where in the US can you get a balâo de café ??? I would love to have one of these for weekends and when company comes over! Good question! I’ve never seen one in the USA, but then I only learned about the balâo de café a few months ago in Portugal. If you happen on a source, please let me know (and I’ll do the same for you). I’ve never been in the US. But you should look in the Portuguese community. They certainly know where to drink it or buy it. To serve at home you should buy a simple expresso machine (not a nespresso). 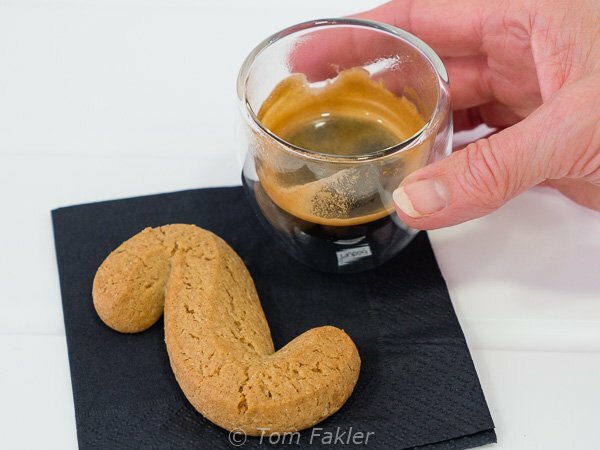 I’ve often wondered why the Portuguese espresso is so large. However I don’t quite understand how it is done. Is it a standard shot topped up with water or is the extraction longer? 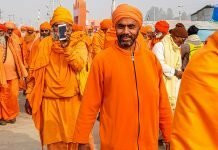 If it is the extraction I would have expected the end result to be too bitter. Hi John. I will try to find an answer to your question, but in the meantime, my speculation is that it’s a longer extraction (I’ve not seen anyone in Portugal topping up an espresso after making it). Long-time coffee drinkers in Portugal might well prefer a more bitter cup, made with all-Robusta beans. Nowadays, with Arabica on the scene, perhaps that keeps the bitterness down? Anita, I think you’re probably right and if that is the case it must be down to the coffee. I’m over there in a couple of weeks and will try and do a bit of investigating of my own. I’ll be next week in Lisbon, can’t wait to try out all your recommendations!! Thanks so much for this post. I’m going to be in Lisbon later this month, can’t wait to check out the coffee scene now! Thanks for sharing this info. I heard that, Coffee is good in Portugal. But don’t have too much knowledge about this. Now I gained some knowledge. Thank you, Lisa! Glad you enjoyed the post…and good coffee too! I love the way you describe the coffee culture in Portugal, which is quite different from the place I live (Germany). But I agree totally with you and I like the bica with a higher percentage of Robust beans. There is a new coffee roasting company keeping up the traditional roasting: Santos & Knafla in Coimbra. Typical portuguese coffee with different blends of Arabica and Robusta and surely worth trying! Thank you for the details description of your travel around the coffee. despite the scientific facts, coffee is like a religion, 3 or 4 per day, and is so good to drink with friends. By the way coffee is very good for your health. Hi Anita! I visited Portual last year and agree that the coffee there is superb. 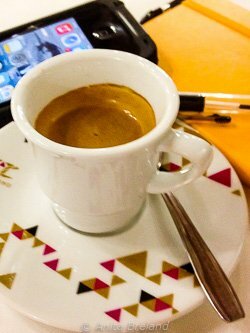 My coffee machine at home has just broken, and I would like to get one that can recreate similar coffee to what I had in Portugal. 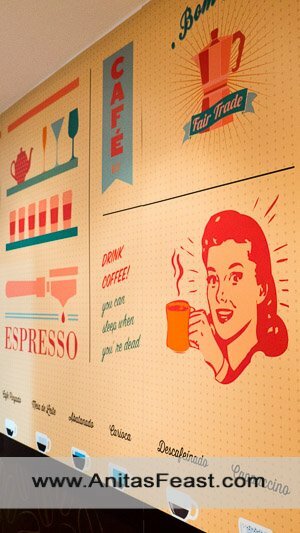 Is there a type of machine or coffee brand you would recommend? Thanks tons! I wish I could! I’ve checked, and it seems that international brands, such as Nespresso, come with international specs (temperatures and serving sizes). I don’t know if any of the Italian brands do a better job of it or not. My solution is to go out to a cafe around the corner for local Portuguese coffee, but that won’t work for everyone. Sorry I cannot be of real help with this.